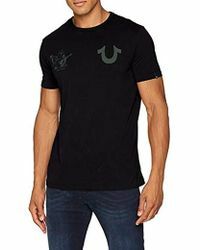 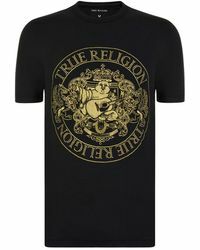 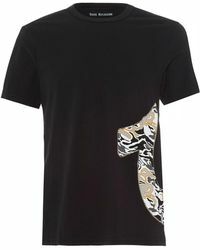 True Religion's T-shirt line is made for pairing with your favourite jeans. 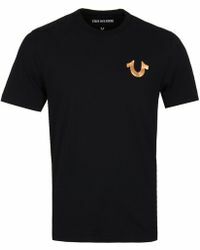 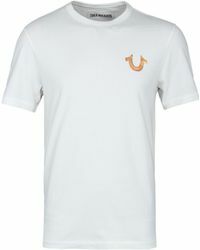 Made up of classic round-neck, V-neck and polo shirts styles, there is a top for every occasion in the brand's line up. 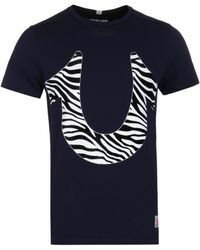 These casual separates come in classic colours as well as covered in more unusual graphic prints and illustrations. 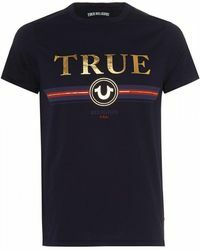 Choose the one that best suits you and you're good to go.